Halstead Wins at The Deal of the Year! 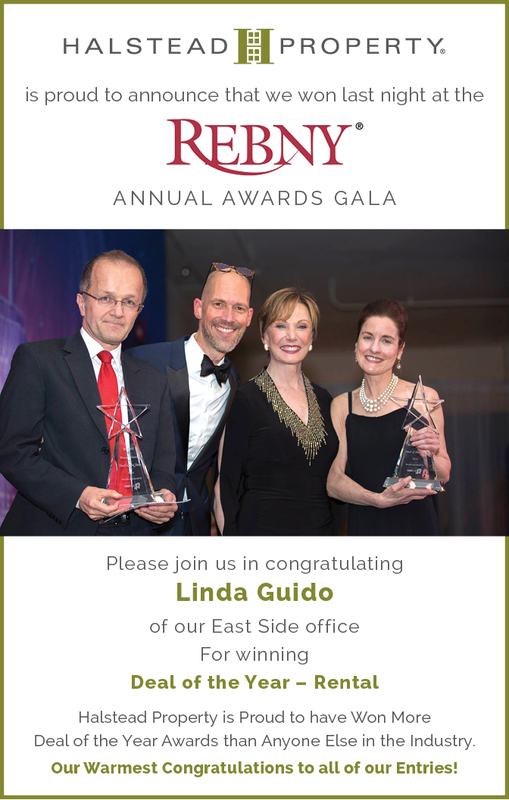 On this past October 23rd, I attended the annual Real Estate Board of New York (REBNY) Awards Dinner where Linda Guido of Halstead won the Deal of the Year award under the rental category. It is always so nice to attend this dinner with all of our colleagues in the real estate industry and the evening was made particularly great as with Linda’s award. Congratulations to Linda! 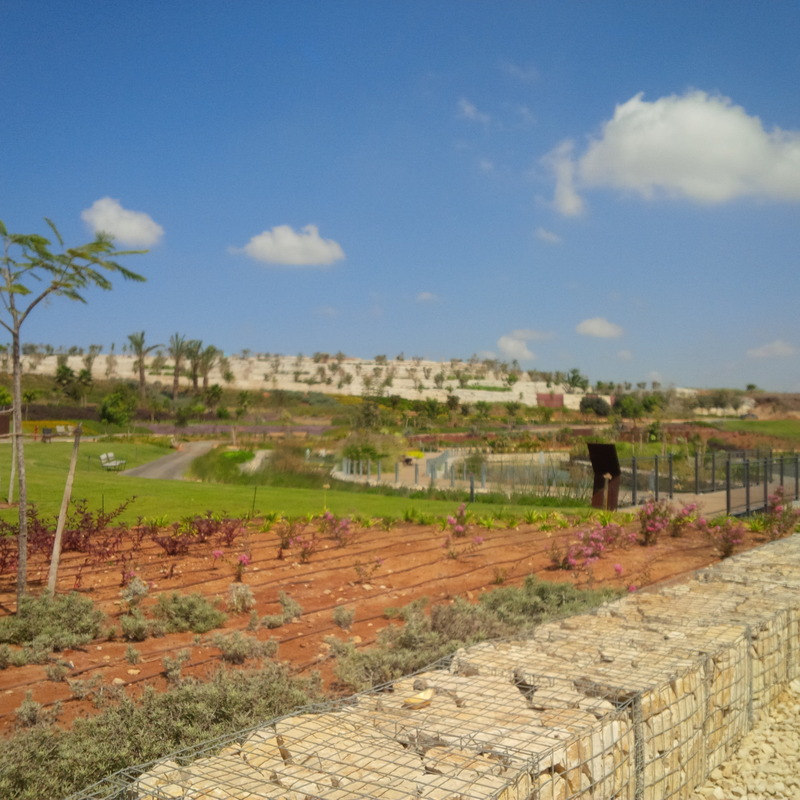 One of the most exciting projects taking place in Israel today is the development and building of the Ariel Sharon Park, the Hiriya Recycling Park, and the Center for Environmental Education. This project seeks to “reclaim” the land that was used for decades as Israel’s largest waste dumping ground for much of the trash generated by the country. Israel started to use this area for waste dumping in the 1950’s and continued dumping its trash there up to 1998. The result was the building of one of the largest “hills” in the country which was built out of waste and was an environmental disaster area. Today, thanks to the efforts of Dr. Martin Weill, and of the late Prime Minister Ariel Sharon, this waste land and waste hill is being transformed into a 2000 acre park that will be three times larger than the size of New York City’s Central Park! 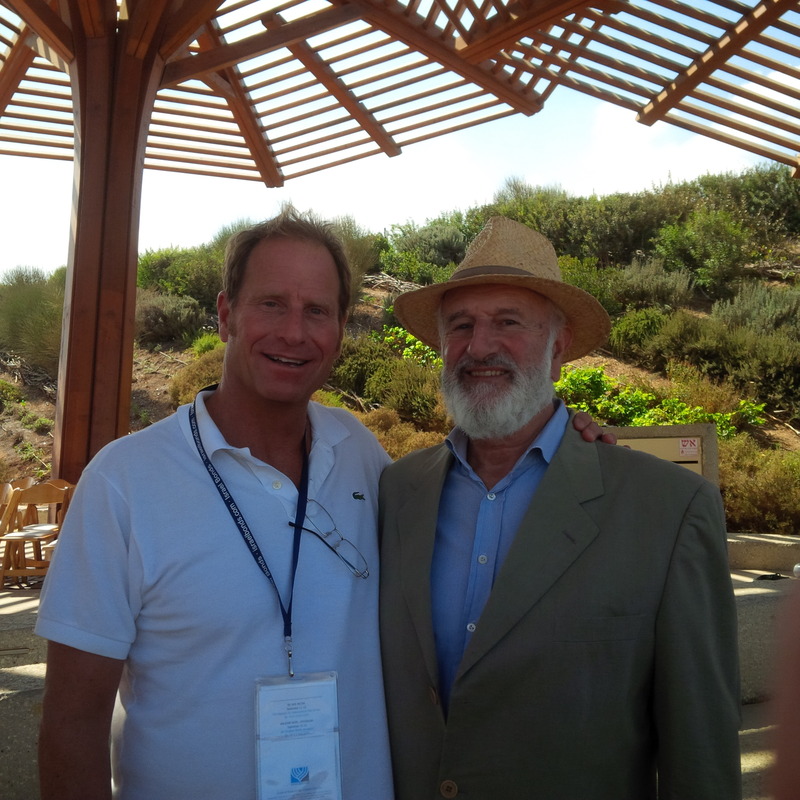 This incredible project has opened the first phase of creating park land where only trash used to exist, and I was fortunate to tour the area during my recent trip to Israel with the Israel Bond delegation from September 10th through September 14th. The work being done and the technology being used is truly extraordinary! This effort provides a shining example to the rest of the world of what can be accomplished, when combining determination with technology, creativity, and innovation to correct human kind’s faults and mistakes and turn them into successes and benefits. 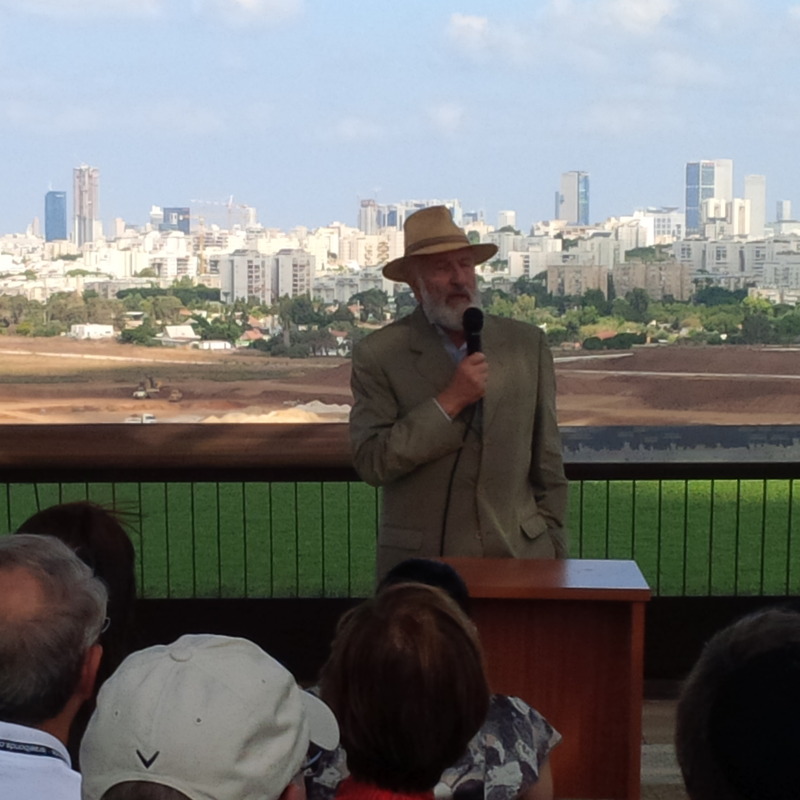 Martin Weill, addressing the Israel Bond delegation overlooking the Ariel Sharon Park being developed in the background. 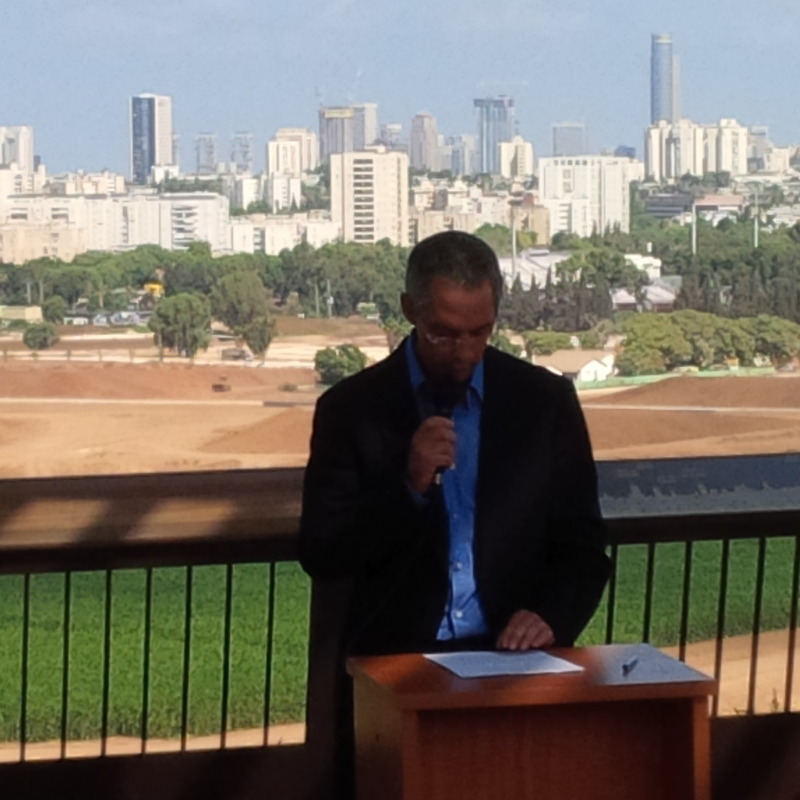 Ariel Sharon’s son, Gilad Sharon, addressing the Israel Bond delegation as he spoke of his father’s passion for the State of Israel which included the creation of this 2000 acre park land and transforming the land into beauty from it prior condition as a garbage dump. View of the newly created visitor’s center and landscaping at the Ariel Sharon Park. 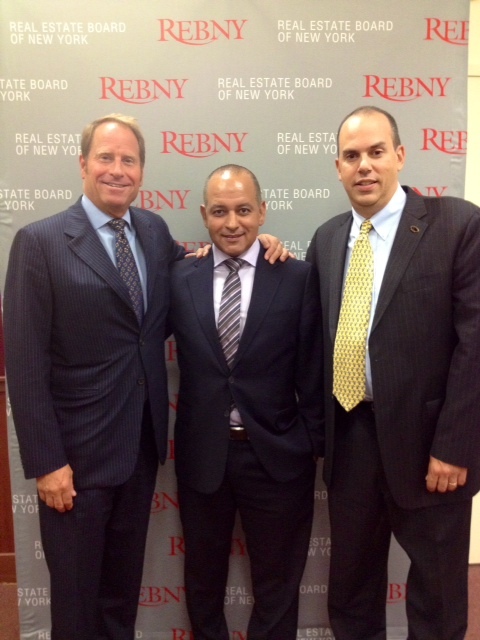 On September 15, 2014, I participated in a panel discussion with REBNY (Real Estate Board of New York) where I spoke with Michael Vargas, the Director of Vanderbilt Appraisal, a division of Terra Holdings. The panel was moderated by Greg Heym, the Chief Economist for Terra Holdings and its operating companies: Brown Harris Stevens and Halstead Property. The panel discussion focused on both the macro-economic and micro-economic trends of the market place, mainly focusing on the residential sector but also discussing the commercial sector as well. All of us agreed on the strength of the residential market and highlighted the lack of inventory of available apartments for sale in New York City which has led to a dramatic increase in prices over the past 18 months. This lack of inventory has also led to a slight decrease in transaction volume for 2014 to date, when compared to the volume in 2013. This, I suggest, is a result of increased pricing as well as fewer choices of apartments for buyers which has led to a certain amount of frustration of the part of the buyers. As a result, some buyers have become so discouraged that they have actually removed themselves from the market place and have stopped their searches for new apartments. Also of note, currently, there are approximately 400 apartment/town house listings that are priced over $10 million. This is interesting to note, especially when considering that prior to 1996, there were fewer than 10 apartments that ever sold over $10 million in the history of New York City! 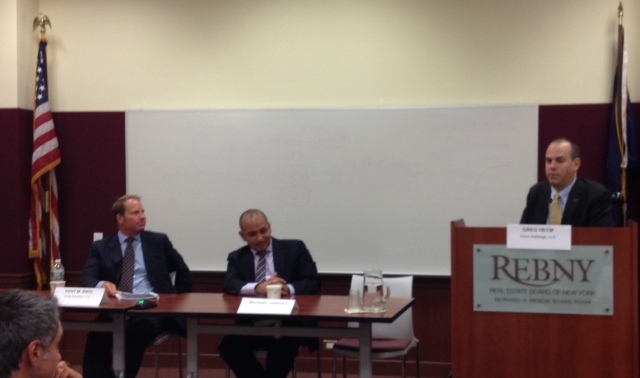 Left to right: Kent Swig; Michael Vargas, Director of Vanderbilt Appraisal (a Terra Holdings company); Greg Heym, Chief Economist for Terra Holdings. 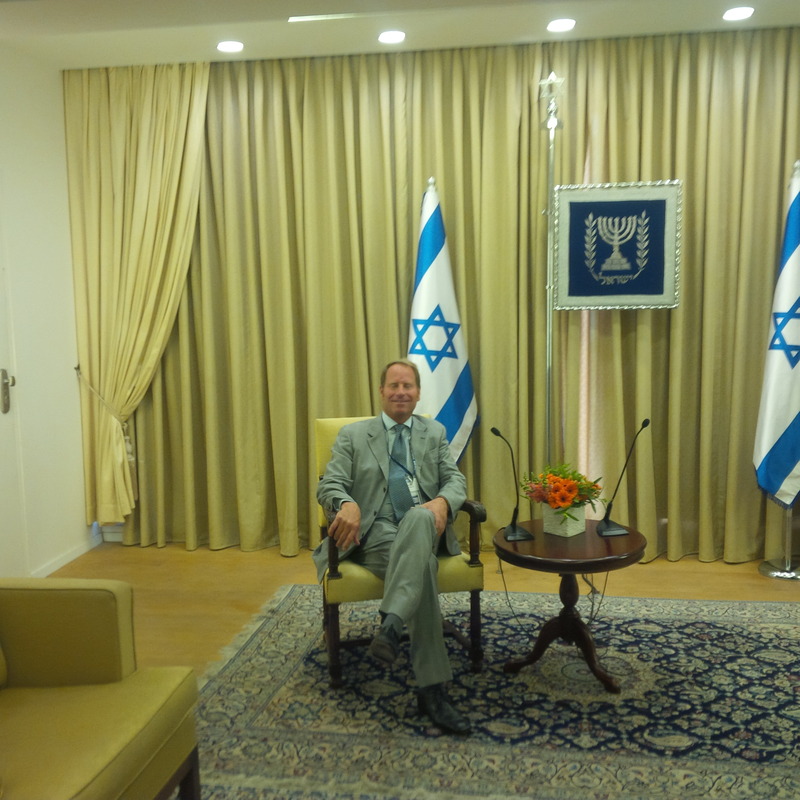 Another briefing that was held for the Israel Bond delegation occurred with Israel’s President, Reuven Rivlin, which took place in the President’s residence in Jerusalem. The President spoke of his family’s history in Jerusalem which goes back for over 5 generations. The President also thanked us for all of our efforts and hard work, as well as for our various successes on behalf of Israel and its citizens. 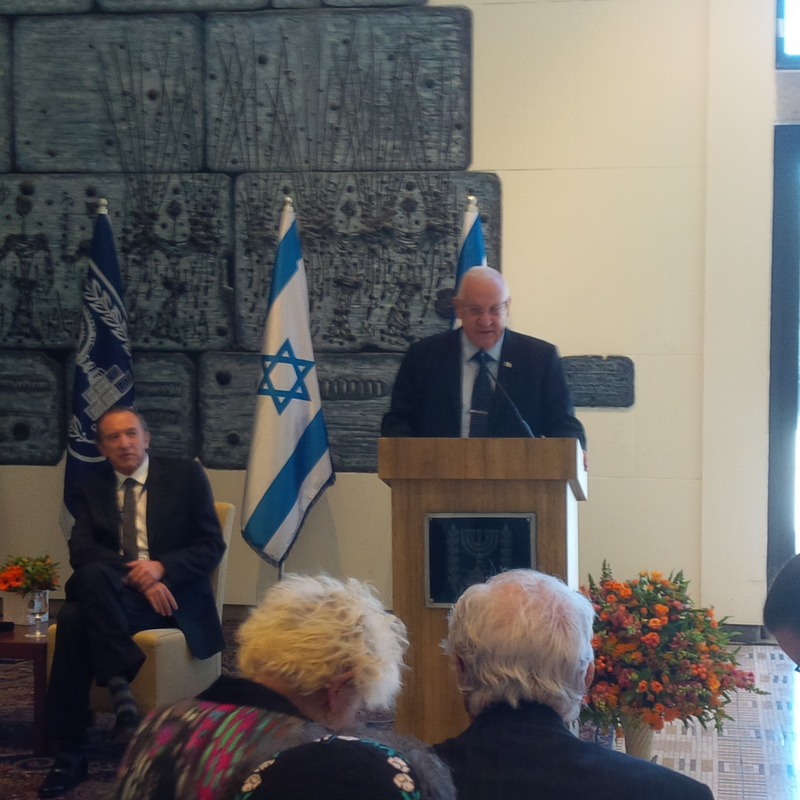 Israel’s President, Reuven Rivlin, addressing the Israel Bond delegation. Kent Swig seated in the President’s receiving room located at the President’s Residence.